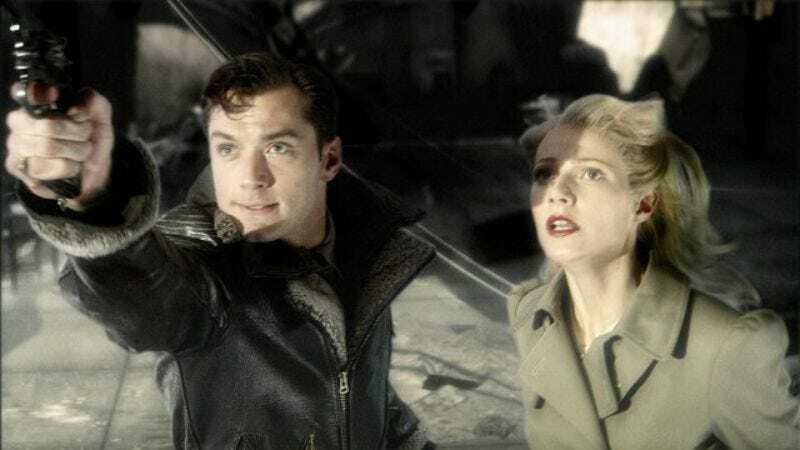 Henry Cavill took on the role of Superman in 2013’s Man Of Steel, but it turns out we could have had an Englishman flying around Metropolis and upholding American ideals as long ago as 2006. That’s according to Jude Law, who confessed to Stephen Colbert on Tuesday’s Late Show that he was offered the part of the Last Son Of Krypton in Superman Returns, but he didn’t care for the wardrobe. Per the anecdote, Bryan Singer tried to give Law the hard sell on the role, and even sent over the uniform with an armed guard to ensure that the actor at least gave it a whirl. But Law, who will soon be seen playing Thomas Wolfe in Genius, said he just couldn’t see himself playing Superman, not even while dressed as Superman. He seems to prefer scoop-neck T-shirts to red-and-blue onesies, so it’s too bad that Dwayne Johnson is already providing the cleavage in the forthcoming Doc Savage movie.